The EPA estimates that between Thanksgiving and Christmas Americans throw out up to 11 tons of stuff. This is all in an effort to make room for new stuff. There is nothing wrong with that. Of course, it helps to wait until after Christmas for you to know exactly what might have been replaced and what can be thrown out. The best way to kick off the New Year is by calling Junk King Atlanta. They’ll send over a team of hard-working movers who can help you get rid of all your old stuff and leave you with plenty of room for the new stuff! Junk King Atlanta prides itself on making its customers happy. Those customers are pleasantly surprised at how easy it is to get rid of all kinds of bulky items from around the house. These might have been things that have been collecting dust for months (if not years) but with one call to Junk King Atlanta, it all flies out the door. Because you have two very capable movers assigned to your junk removal task there really is no limit to what you can get rid of. That includes anything you want to toss out that is down in the basement or up in the attic. The Junk King crews don’t mind climbing stairs if that’s what it takes to get to your stuff. Getting rid of your junk doesn’t mean it’s all going to be trashed in a landfill. At least it doesn’t if you hire Junk King Atlanta. This is a company that is dedicated to putting things back into circulation. That can either mean recycling or donating. You don’t have to decide where your stuff could go. The Junk King Atlanta crews have been trained to sort through everything they collect. They know exactly what charities are looking for in terms of clothing, furniture or household goods. They also know what facilities are up and running around Atlanta area that can taken things like scrap metal, foam, would, plastics and even construction waste. All of that makes Junk King Atlanta the perfect junk removal partners. If you want to open up storage space in your room, then you need to call Junk King Atlanta to get rid of your unwanted stuff ASAP. This entry was posted in junk removal and tagged junk, Junk King, junk removal, stuff on December 26, 2016 by Harry Van Buren . Last updated August 14, 2017 . 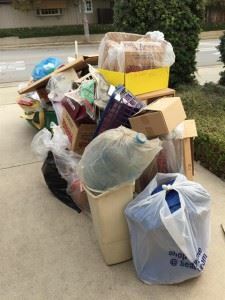 Get A Jump On Your Atlanta Spring Cleaning – Haul That Junk!